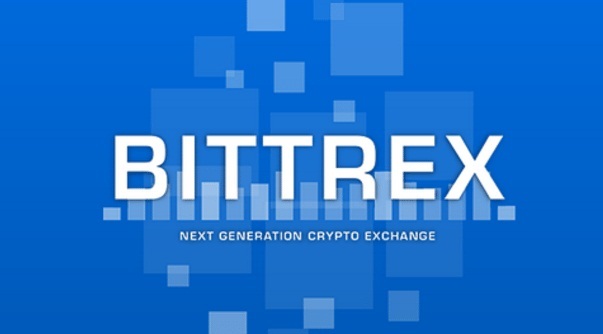 Bittrex is a US cryptocurrency exchange that has grown in popularity among crypto traders since launching its operations in December 2014. Its steady growth has made it one of the most preferred altcoin exchanges on the market. Much of Bittrex’s success is the result of its founding team of experienced security professionals, which is dedicated to maintaining a simple, fast, reliable, and secure exchange. With plenty of cases of collapse and hacked exchanges in the industry, traders appreciate a platform provider that doesn’t lose their money. Bittrex was founded by Bill Shihara (cofounder and CEO), Richie Lei, Rami Kawach, and Ryan Hentz. It’s based out of Las Vegas, Nevada. The company makes a point to comply with US money laws, which is evident in the setup and structure of its exchange. Signing up with Bittrex is a pretty straightforward process, especially if all you’re looking to trade are cryptocurrency pairs. With a name, email address, date of birth, and phone number verification, you can start trading using a basic verified account in under thirty minutes. Higher-tier verifications require the sharing of more details to unlock a broader option of facilities. For example, the enhanced verified tier allows traders to make deposits and withdrawals in fiat wire transfers worth $10,000 or higher. Once you have a verified account, an excellent variety of altcoins compared to any exchange will be available to you. Over 250 altcoins are available for trading against Bitcoin, Ethereum, and fiat currencies in the form of USD-Tether and BitCNY. Bittrex makes an effort to add up-and-coming altcoins after carefully vetting their source codes and delisting inactive coins. While some pump-and-dump coins have managed to slip past the vetting process, Bittrex’s goal is to raise the quality of the overall coin listings. If there’s an ICO that’s just completed, a new blockchain launching, or even a recently branched fork, you’re bound to find it on Bittrex. Bittrex carefully reviews all coins from impending hard forks or airdrops before providing full support and debiting customers’ accounts. Often, as soon as the networks are stable enough, several coins birthed from hard forks are made available to trade. One example is the recent Zclassic (ZCL) coin fork, which was managed professionally to support the new ZenCash (ZEN) coin. Another upcoming Bitcoin Gold hard fork is still under review, but once it’s successful, BTG will be added for trading just like in the Bitcoin Cash fork of Bitcoin and the Ethereum Classic fork of Ethereum. Unfortunately, Bittrex doesn’t yet support leverage and margin trading, and only spot trading is on offer for all the coin listings. The exchange is working on a new trading engine that will support margin trading and advanced order types soon. That said, however, the current trading engine seamlessly glues together automated trading features, such as stop loss, good ’til canceled (GTC), and instant buy or sell, with all the standard technical charting tools a trader needs. Clients continually commend the exchange’s trading interface for its quick loading times, with no incidences of hanging or lags. Trading fees are slightly higher on Bittrex compared to the industry average. Additionally, there are neither rebates for higher-volume trades nor incentive models for takers and makers.  A 0.25% flat commission is applied to all trades. However, fees have done little to dampen the number of customers signing up. Bittrex has seen a visible increase in its trading volumes since 2014, and it’s now catching up to Poloniex, the altcoin exchange with the highest volumes. In just under three years, Bittrex’s volumes have scaled up from as low as 0.1% to 0.5% of Poloniex’s volumes. Still, Bittrex has faster withdrawal times and more reliable order execution than Poloniex despite its relatively low volumes. Unmatched security is Bittrex’s most significant selling point. The founding team, which comprises computer security experts with over 40 years of combined experience, prioritizes security in all its development decisions. Three years after launching, Bittrex has achieved the rare feat of never having suffered any breaches or having lost any customer funds. Bittrex has in place an elastic, multistage wallet strategy that always keeps 80%–90% of funds safely offline. Meanwhile, on the customer side, two-factor authentication is a must for all withdrawals and API calls; if it’s not activated, a limit on withdrawals is enforced for customers without 2FA set up. Having said all that, a user recently contacted us to let us know that his account was hacked. Apparently hackers were able to access his Bittrex account and change the 2FA settings without any need for email verification. The user was basically then locked out. Bittrex did not respond to this case as of the time of writing. So a word of warning – don’t use Bittrex without 2FA enabled, since if someone gets your account details he can effectively lock you out. Occasionally, certain accounts will be temporarily suspended pending completion of a review. The process has drawn sharp criticism from the owners of the frozen accounts, who have taken to web forums to air their grievances online. Apparently, this situation has been going on for some time now, with only a minimal response from the Bittrex team. Overall, according to Bittrex, only about 0.1% of accounts are affected by suspensions, closures, or outright bans. However, in the past month, more than fifty threads have been opened in various BTC forums regarding this matter. If you want to avoid such an inconvenience, it’s best to have your credentials on hand in case your account is flagged. 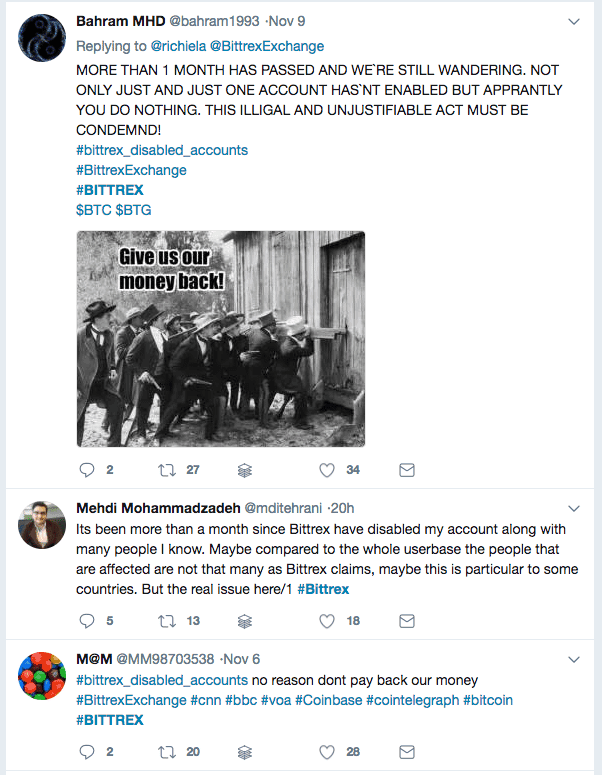 Most complaints found online are from users in emerging markets; Bittrex’s low-tier requirements seem to appeal to unserved markets. Even with its top-notch security, Bittrex’s biggest letdown is its customer support. Public opinion on the speed of response to support tickets is dismal when it comes to verification, customer service issues, and follow-ups on accounts that are under review. Although Bittrex can be considered an excellent exchange for beginners and traders looking for a robust, secure platform on which to trade multiple cryptocurrencies, its lack of customer support and recent freezing of accounts make it a questionable choice. Too often, exchanges sacrifice customer support and satisfaction to continue operating and expanding in the ever-evolving crypto space. In this case, the public outrage seems too loud to ignore. Indacoin Review – Is it a Legit Bitcoin Exchange? Poloniex Review – Is it a Legit Exchange? Cryptopia Review – Is it a Legit Exchange? Bitcoin.de Review: Is It a Legit Exchange? ItBit Review: Is It a Legit Exchange?